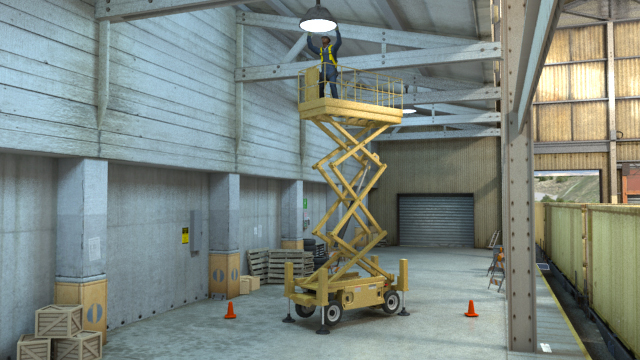 Aerial work platforms can be used to perform inspection, maintenance or repairs. 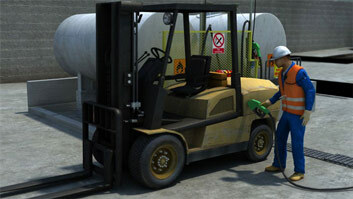 Failure to follow correct safety procedures can result in serious injury to operators and others nearby. 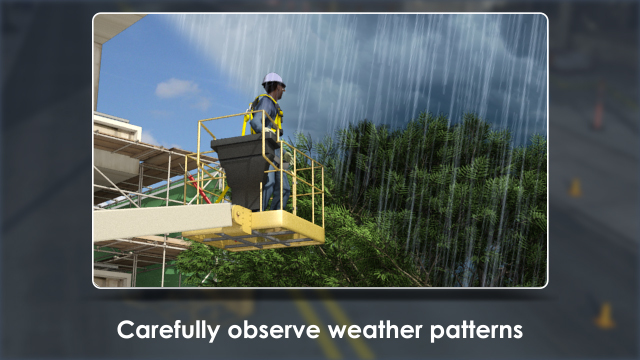 Be sure to pay attention to changes in the weather when operation aerial work platforms outdoors. Aerial work platforms provide a temporary workspace as an alternative to ladders or scaffolding. 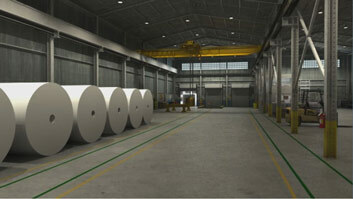 They can be used to perform inspection, maintenance, or repairs. This course describes basic types of aerial work platforms and how to work with them safely. 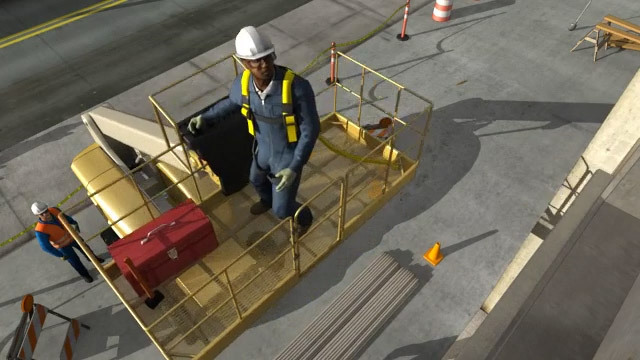 It provides an overview of safety requirements, controls, preparation, work rules, hazards, and other safety precautions related to elevated platforms. This course discusses vertical towers, articulating boom platforms, aerial ladders, and extensible boom platforms. What is an aerial work platform? A temporary workspace that can be used as an alternative to ladders or scaffolding. What are the common parts of an aerial work platform? The chassis (or base), the boom, and the platform or basket. What are some types of aerial work platforms? Extensible boom platforms, aerial ladders, articulating boom platforms, and vertical towers. What are some requirements regarding aerial work platforms? The platform must have guardrails, intermediate rails, and toe-boards on all open sides, or must be enclosed up to 42 inches; guards must protect the worker from contact with the boom or elevating machinery; and signs or labels that indicate the safe working load limit and the safe operable wind speed limit be must posted. How many sets of powered controls does an aerial work platform have? Two-one on the platform and another on the chassis. The lower set of controls must be able to override the upper set, but only in emergencies or when the person being lifted gives permission. 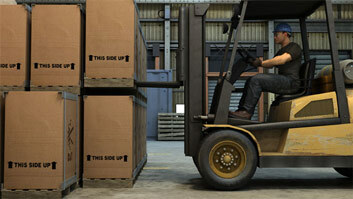 What are some common causes of injuries and accidents? Overturning, falling, collision, and electrical shock. What are some safe work practices when working with aerial work platforms? 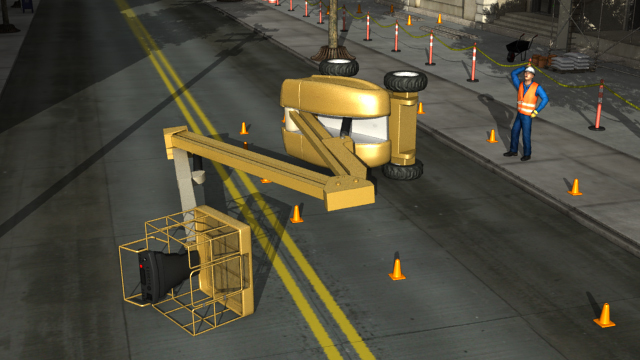 Obey the load limit; operate only when under the maximum safe wind speed; evaluate the ground for proper support capacity; place platform on safe grade that's less than maximum allowed incline; only use outriggers in fully extended position; ensure adequate clearance of buildings, structures, and power lines; never use aerial work platform as a crane or hoist. 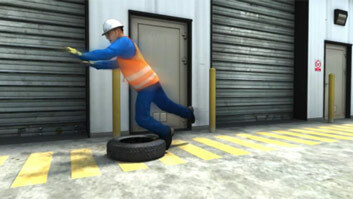 While working on an elevated platform, follow these safe work practices. Always wear a full body harness when occupying the platform or a basket. It must be attached with a lanyard to the basket or a platform in a manner that minimizes the fall distance. Do not tie off to nearby poles, structures, or equipment. Always stand firmly on the floor of the platform and wear ANSI approved footwear for good traction on the platform. Never step or stand on objects present on the platform floor. Do not lean over rails or sit on the railing. If there is a need to lean or reach the platform's position must be adjusted to allow a comfortable and safe working position.